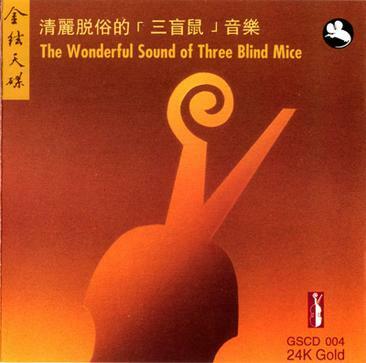 The Wonderful Sound of Three Blind Mice (commonly known as TBM) is a compilation of jazz pieces interpreted by Japanese jazz performers. I bought this Three Blind Mice compilation from Trikay Sound Systems- KL Plaza outlet. If you may remember such an old HiFi shop, you should know that it was almost 2 decades ago. Note that the point I want to make is not about the length of ownership but rather that good music makes everlasting offerings!!! This album has marked very important milestone in my journey of jazz music appreciation! Hopefully the following short write-up (as contained in the CD inlay) as well inspires everyone else who has yet to appreciate reproduction of jazz music. A "live" performance, indeed, is the essence of jazz. I have been saving this every opportunity. LP or CD today has an important part for the expansion of jazz. We can preserve fine arts, literary works and almost all music (on score). However, we can never preserve jazz works without any recordings. As a matter of course, it is not impossible to note an ad-lib phrase on a music score, but we do not call it jazz because, there is no point in playing faithful to a music score. At this point, jazz is different from classical music conclusively. The great thing in playing jazz is to express oneself spontaneously the musician feels something. Furthermore, jazz has a special character of an improvisation which speaks to listeners directly, and also has an outstanding mode of music, that makes it possible for musicians to improve by reacting to the audience. In other words, a jazz record is an important medium in a literal sense. An LP record or CD transmit jazz to people who would not be able to listen to "live" performance. Also, this is an excellent opportunity to win jazz fans. 9 tracks are captured in this Three Blind Mice compilation, of which certain tracks are classics. Most tracks come with simple arrangements primarily made of piano, double bass and drums except Track 7- Bridge Over Troubled Water which also adds in some mesmerizing vocal of Mari Nakamoto. Track 8- Aquarium appears to be painting a picture of some small fishes swimming randomly around emerging bubbles near the seabed. As they are swimming “worrilessly” happily, out of the blue, some big ferocious fish flashes out from nowhere and injects much fear into the water. With further creative imagination, the more pictures follow... "See" these pictures with your ears! It has been played back more than a hundred of times, yet I could never believe that this piece ever sings with "life" in it! For reproduced music is always in the form of "dead" recordings, should it not sound exactly the same and repetitive the very next time it is played back again? I see that this "life" element is introduced by the godly ad-libs and the seamless musical interactions among/between the performers. In my honest opinion, this is one of the most meaningful form of music immortalization as the "life" in the the music has been immortalized but not the ever repetitive "dead" recordings! Had you been overly bogged down to appreciating only hifi-abilities or enjoying the easy knowledge of the every next word/lyrics to be sung, it is time to give a shot with these beautiful jazz pieces. Or had you not listened to TBM for long... time to rediscover the "life" in it!!! Had you not listened to this TBM before, you should find this compilation handy. Heart Hear tHe art and our ears could "see" the musically wonderful pictures!